Melissa Moser began writing articles in 2010. Her research paper appeared in a 2008 supplement issue of the Journal of the American Dietetic Association. She graduated with honors from Central Washington University with a Bachelor of Science degree in food science and nutrition and a Bachelor of Science in microbiology. Passionflower supplements such as those derived from the plant species Passiflora incarnata contain chemicals that have calming, sleep inducing and muscle spasm relieving effects. However, Drugs.com warns that large doses of passionflower may result in CNS depression, and MedlinePlus states that you should not take passionflower while pregnant because chemicals in passionflower can cause the uterus to contract. Dietary supplements may cause adverse health effects and medical complications in pregnancy. Consult a physician before using supplements. Pregnant women should not take passionflower because passionflower contains chemicals that can cause the uterus to contract. More specifically, Drugs.com states that you should avoid using passionflower when pregnant because it contains harman and harmaline alkaloids that exhibit uterine stimulant action, and an additional chemical compound that can produce hydrogen cyanide, called a cyanogenic glycoside. MedlinePlus also advises that you not use this herb while breastfeeding due to lack of safety assurance. According to MedlinePlus, passionflower might be effective for anxiety, but insufficient evidence exists to rate effectiveness for insomnia, heart problems and other purported uses. Passionflower is possibly safe when used medicinally for less than one month, but emphasizes it is likely unsafe when consumed in large amounts. Drugs.com also warns that consumption of large amounts of this herb could cause adverse health effects from CNS depression. Passionflower over-the-counter sleep aids were removed from the U.S. market in 1978 due to lack of proof of safety and efficacy. This herb can cause side effects such as altered consciousness, dizziness, confusion, irregular muscle action and coordination, and possibly nausea, vomiting, drowsiness, rapid heart rate or abnormal heart rhythms. Dietary supplement manufacturers retain the legal responsibility to ensure the safety of their supplements prior to sale, and pre-approval from the U.S. Food and Drug Administration to sell their products is not required. This means that the FDA does not analyze the contents of dietary supplements before they reach consumers, and unlike pharmaceutical drug products that must be proven safe and effective before marketing, the FDA has no legal provision to approve dietary supplements for safety or effectiveness before sale. The manufacturer holds the legal responsibility to ensure the accuracy of the dietary supplement facts label, the safety of the ingredients and that supplement contents match amounts declared on product labels. According to Medline Plus, you should stop taking passionflower at least two weeks before a scheduled surgery because it may increase the effects of anesthesia and other medications used during and after surgery, resulting in excessive sedation. Passionflower may cause drowsiness and interacts with sedatives or CNS depressants that also cause sleepiness, such as phenobarbital and zolpidem. Passionflower may cause excessive drowsiness when used with sedative medications. Consult a doctor before taking passionflower if you take medication. Passionflower can cause potentially dangerous or harmful effects if used with other herbs and dietary supplements. MedlinePlus warns that passionflower can cause drowsiness, and using it with other herbs that have the same effect may cause excessive drowsiness. 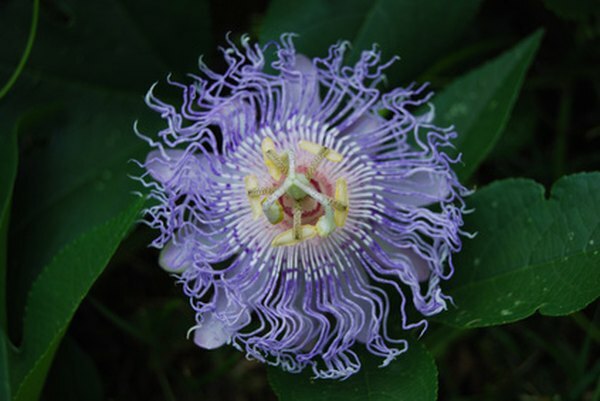 Some of the many herbs and supplements that can produce dangerous interactions with passionflower include valerian, hops, St. John's wort, kava, 5-HTP, skullcap, yerba mansa, calamus and California poppy.